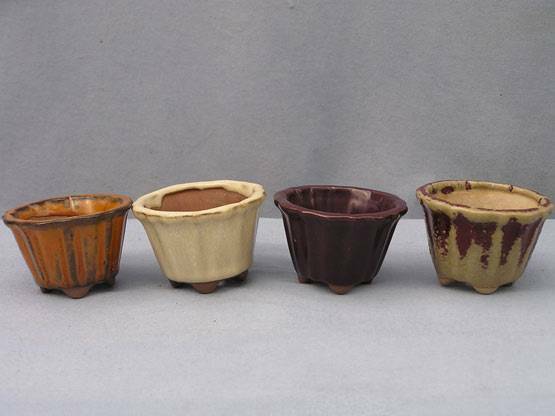 These pot have outside measurements of 3’’ diameter by 2’’ tall. Great for Mame or companion planting. From left to right glaze colors pictured are : gold/orange, beige, violet, and burgundy red/beige ’highlights’ Color choices available for this pot : Blue/green, beige, mustard green, gold/orange, burgundy red/beige ’highlights’ , red/greenspeck iridescent, violet I reserve the right to substitute colors for out of stock color choices made. Please indicate no color substitutions in the COMMENTS area as you check out if color substitutions are unacceptable.